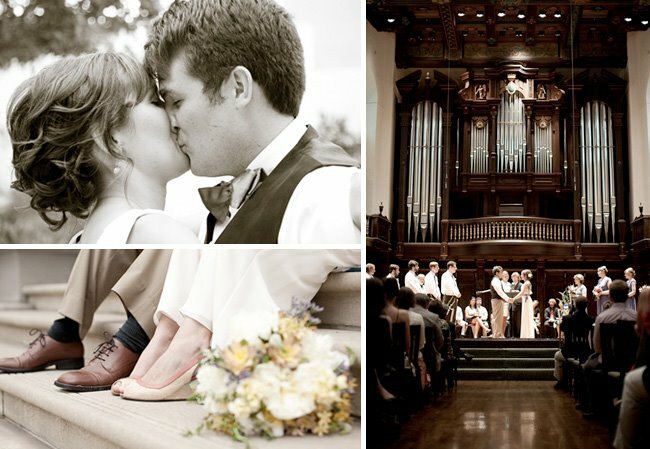 This wedding was photographed by the talented duo of Erin Hearts Court – the husband and wife team of Erin and Courtney. You may also know Courtney from her design company, Flush Designs. I love the story behind the location. 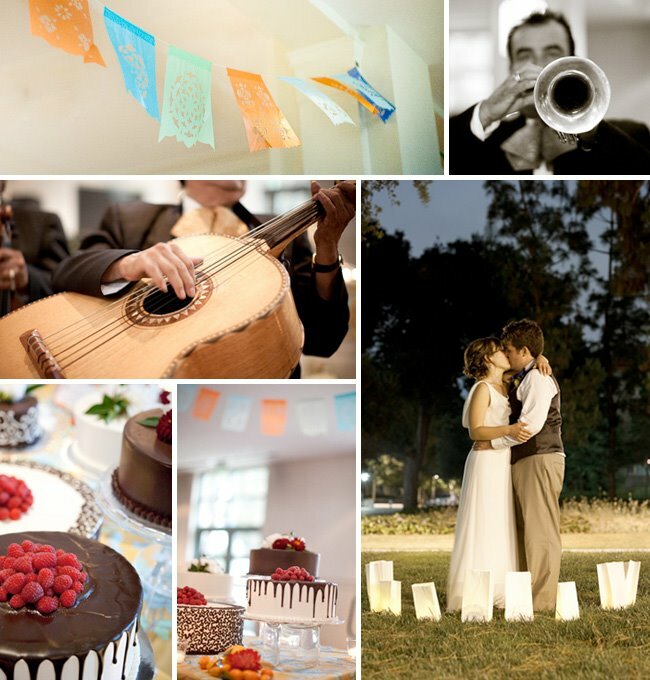 Brett + Bowen were married at Pomona College in Claremont, CA, on the very campus where they met! They were also able to get some photos in the very same classroom that they first met in – how very romantic. 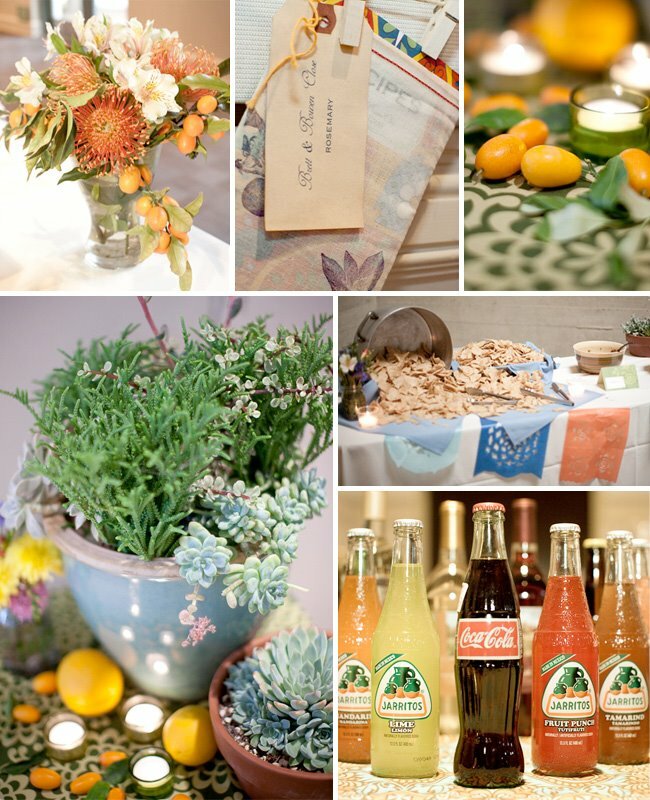 Although some rain moved it all indoors, it was still nothing short of a fiesta fun, and lovely affair. 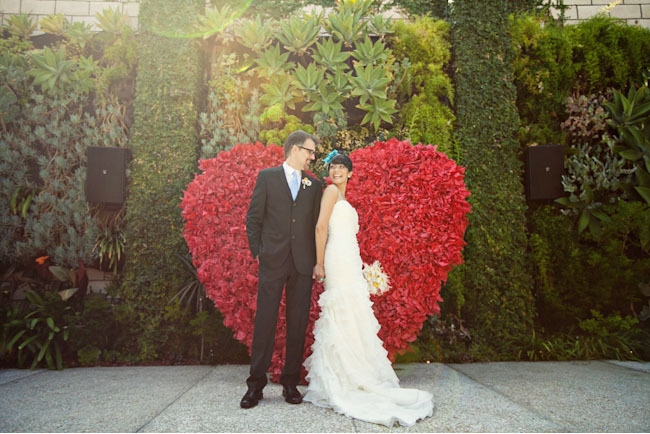 The ceremony was filled with amazing music, awesome readings and honest vows. 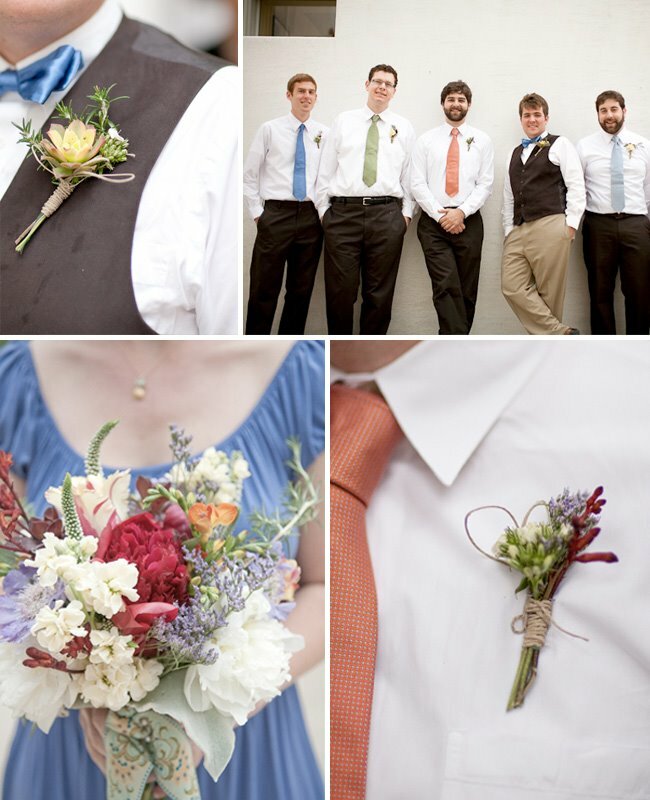 Courtney also created the bouquets, boutonnieres, and the wedding invitations. Bowen’s makeup was by the fab Nicole Deanne. I love Bowen’s dress by Minna K and all the beautiful decor details. Thanks Courtney for letting me share this beautiful wedding and congrats to Brett + Bowen! This is such an adorable wedding. 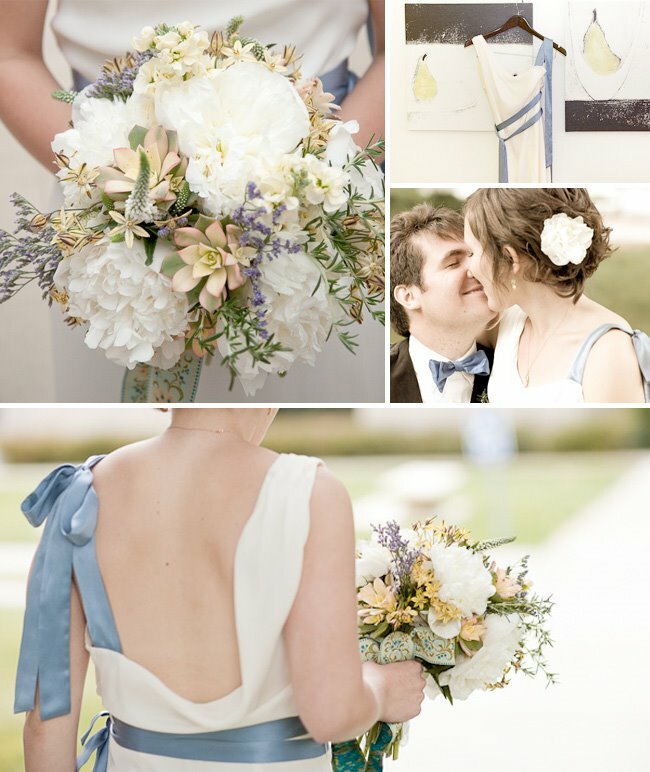 I love the bride's dress, the blue accents really set off the whole ensemble. Oh, and the writing on the whiteboard: priceless!! Thanks so much for sharing! Wow. This is a GREAT wedding! Her dress is so special and their colors are festive and fresh. These are such adorable photos! What a beautiful wedding. LOVE the different colored ties. wow, how i love this wedding. the pictures in the classroom are so cute, and her dress is stunning. Was that a mariachi band?!?! If so …. *swoon* LOVE IT!!! So cute. We are doing a fiesta theme too so this was fun to see! 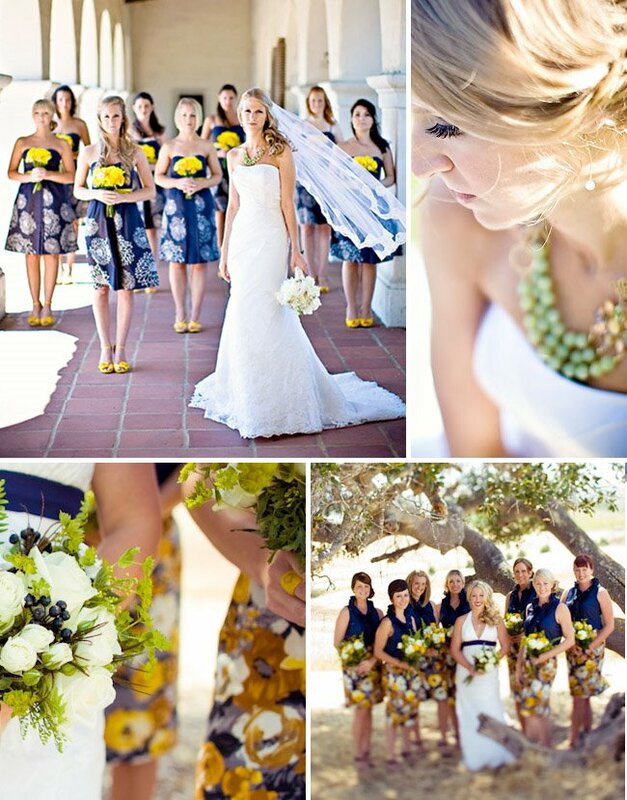 I'm obsessed with the florals from this wedding! Erin Hearts Court photographed everything so beautifully. i love me some succulents and kumquats!!! I love how you grouped all the photos! :) thanks so much for featuring our work!! the class room photos are so cute! Im in love with the color combos and the photog. That is quite possibly the most beautiful bridal boquet ever! Courtney is an amazing florist!! such a fun color palette! love everything about this post! its funny how the ties are so short. that powder blue is so unique. loving the color palette. Wow! I love this wedding!!! I love this wedding and featured it on my Friday dance! I agree…fantastic dress! love the unbrella shot in particular. 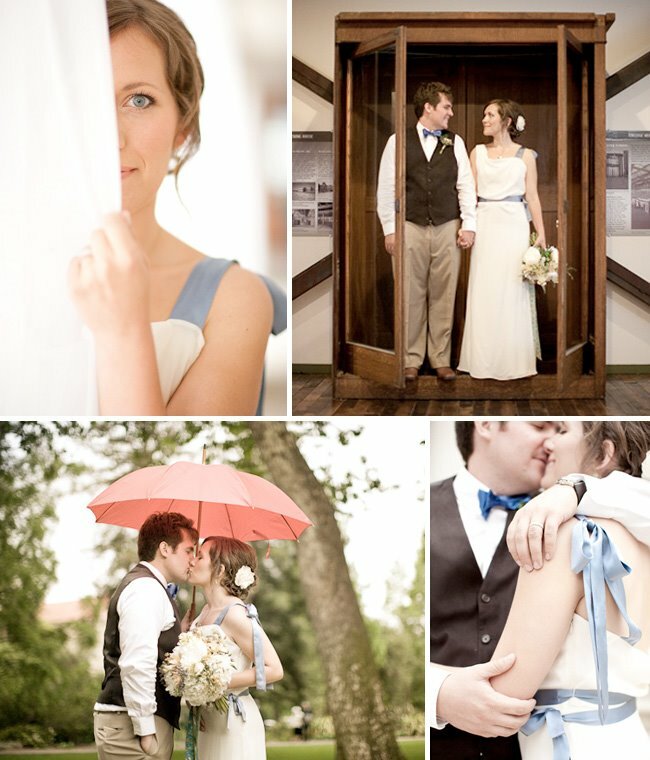 check out these wedding shots and the GREEN Bride contest. yeah, Go Green! http://www.tslphotography.com besides checking for the rules in the blog section be sure also to look at photography AND cinematography. i love all the details of this wedding. What church did they get married in? the blue in her dress matches her eyes! I liked the photo of kissing under the red umbrella.